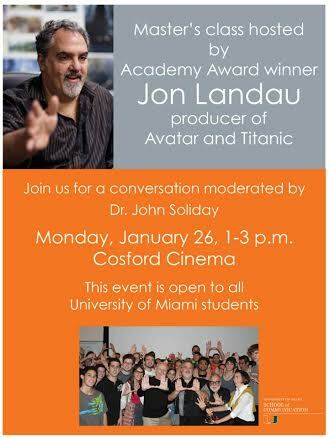 Academy Award winner Jon Landau, producer of the films “Titanic” and “Avatar,” will host a discussion from 1-3 p.m. Monday at University of Miami’s Bill Cosford Cinema. The master’s class will be moderated by associate professor John Soliday. 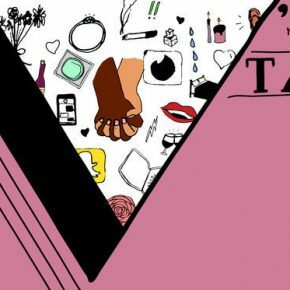 The event is open to all university students. 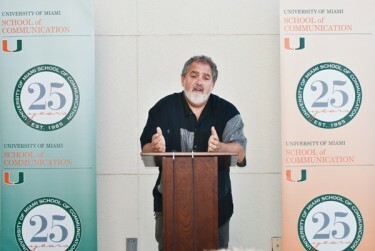 Landau visited the university in 2012, according to an article in E-Veritas. 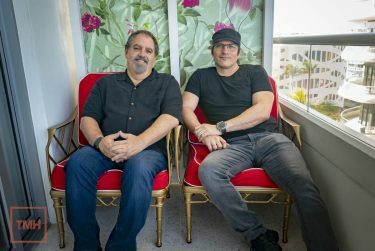 He surprised students by bringing his Oscar Award and inviting student to take pictures with it.